Ethically handcrafted in Guatemala by Teysha Social Enterprises. Celebrate vibrant color down to your toes. 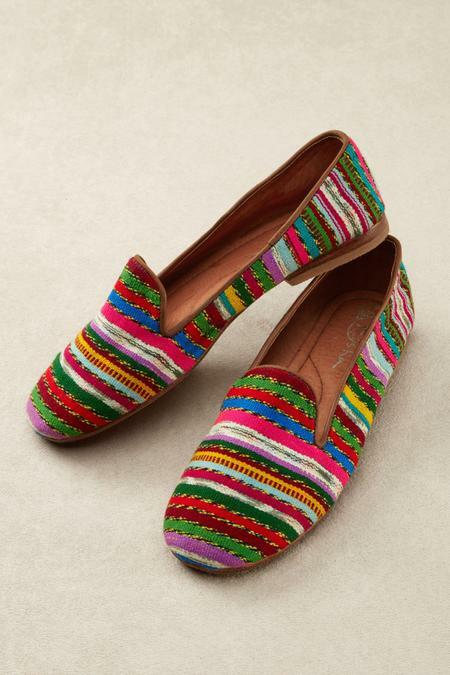 Stripes with a southwestern vibe streak across these handwoven cotton and poly flats built on leather soles. 1/2" heel.